Gouryella first started as a collaboration project between Ferry Corsten and Tiësto, and shortly after became an exclusively solo pseudonym for Ferry himself, which spawned five releases. Now, ‘Gouryella - From the Heavens’ is the official documentary that will detail the full story of one of the name. Featuring appearances from the likes of Armin van Buuren, Paul Oakenfold, Cosmic Gate, Markus Schulz, Above & Beyond and Aly & Fila, the documentary gives a timeline of the history of Gouryella and the impact that the records have apparently had on many fans worldwide. 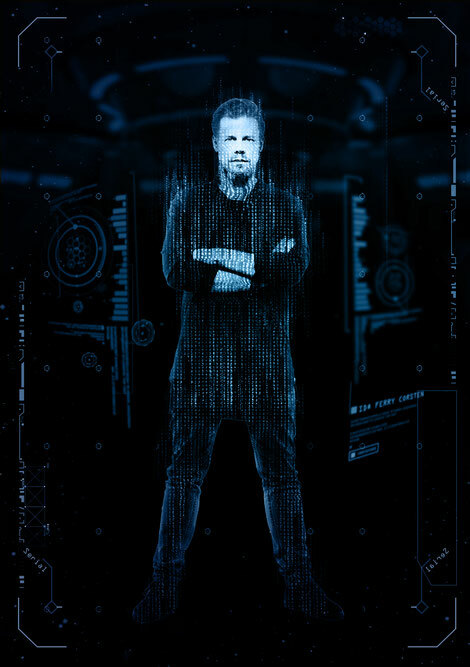 The film also gives insight into Ferry Corsten’s decision to revive Gouryella after a 13-year hiatus from the project and follows that journey up until the present. His decision to take Gouryella from the studio to the stage was what led to the launch of Gouryella Live with two arena shows in Sydney and Melbourne back in March 2016 and apparently many of the biggest festivals around the globe of which included EDC Las Vegas, Tomorrowland and Ultra Europe. In partnership with Ferry Corsten’s Gouryella, It’s a Fine Day and Symbiotic, the world premiere of ‘Gouryella – From The Heavens’ will take place at the Hawthorn’s Lido Cinema in Melbourne on Wednesday 4 January 2017, where fans and industry figures will be treated to an exclusive evening screening attended by Ferry, topping off a big 2016 for Gouryella as we enter the new year. The setting of Melbourne’s Lido cinema provides the destination to rollout this event following Ferry’s decision to take Gouryella down under for the act’s debut live world premiere at Atlantis back in Autumn of 2016. Speaking about ‘From The Heavens’, Ferry said: “Telling a story through music is one thing. Telling a story through photos, video and a narrative is another. I'm very excited that I'm able to bring this documentary onto the stage and take my fans with me on a journey behind the scenes and through the process that is Gouryella”.